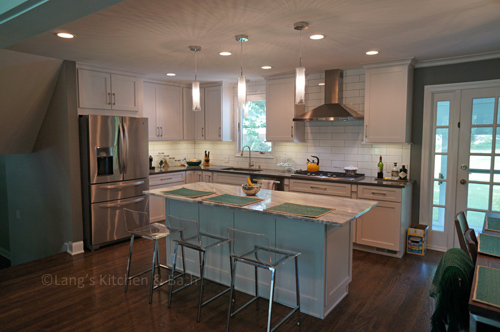 What is Your Kitchen Design Color Scheme? Kitchen designs typically stick to a neutral color scheme, and there is a good reason for this. A kitchen remodel involves the installation of fixed items, and is a significant investment in your home. It is also a key element in the home’s resale value and not a space you want to have to update on a regular basis. Kitchen are also a central meeting point in the home, and often integrated with living spaces in open plan kitchen designs. A neutral color scheme is timeless and holds its value whether you plan to stay in your home long-term or sell in the near future. Does that mean you have to go for an all-white kitchen? Definitely not! Neutral does not mean the same thing to everyone, and in fact a neutral palette can span a range of colors. Likewise, neutral color schemes are not for everyone, so do not be afraid to look at bolder color choices when selecting a palette for your kitchen. Let’s examine the options for kitchen design color schemes to help you decide which one is right for you. Do you plan to sell? The first question you must ask yourself is how long you plan to stay in your home. If you expect to sell your home soon, then a neutral base color scheme is a must. Yes, you could add accent colors to spice things up, but few buyers will want to redo the bright red kitchen cabinets you just installed. 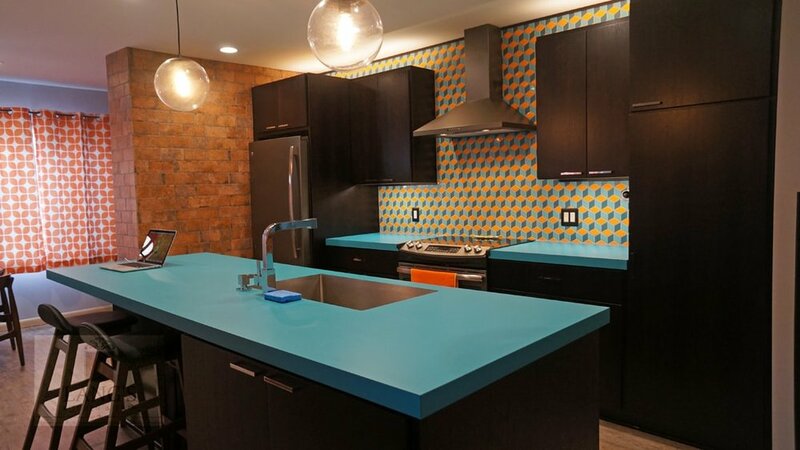 By selecting a bold color for a fixed asset in your kitchen, you limit your pool of potential buyers to someone who likes that color or is willing to invest in a brand-new kitchen right away. Are you staying in your home? If you plan stay long term, then the possibilities are endless. A neutral color scheme is still an excellent choice, but this does not mean it will be boring. Neutral color palettes range from white to gray, beige, greige, wood tones, and much more. Look at your living spaces and consider your overall home style – is it traditional, contemporary, rustic, or transitional? What colors have you used in other rooms? This may help you determine whether you will go for a traditional white kitchen design, a rustic wood tone, or a cool contemporary gray shade. Are you ready to add color to your kitchen design? If you want to make a bold statement with your kitchen design, you can do this by adding an accent color in easy to change accessories. Or, if you are ready to commit to a one-of-a-kind kitchen design, make color a focal point of your space. Colorful kitchen cabinets, wall colors, and appliances are all fixed items that can be included in bright or dark hues to suit your style. Cabinet finish changes the tone of your kitchen and can include all cabinets or different finishes for lower, upper, or island cabinetry. Backsplashes are an ideal way to add color to accent neutral or dark cabinets and countertops, like this dynamic kitchen design in Bristol, PA. Bright colors have made a comeback for sinks, appliances, and range hoods, with an array of color options seen at industry events like the recent Kitchen and Bath Industry Show. Light fixtures are available in a range of options including finishes to match cabinet hardware, neutral fixtures to accent classic styles, and bright ornamental lights that stand out as a unique design feature. 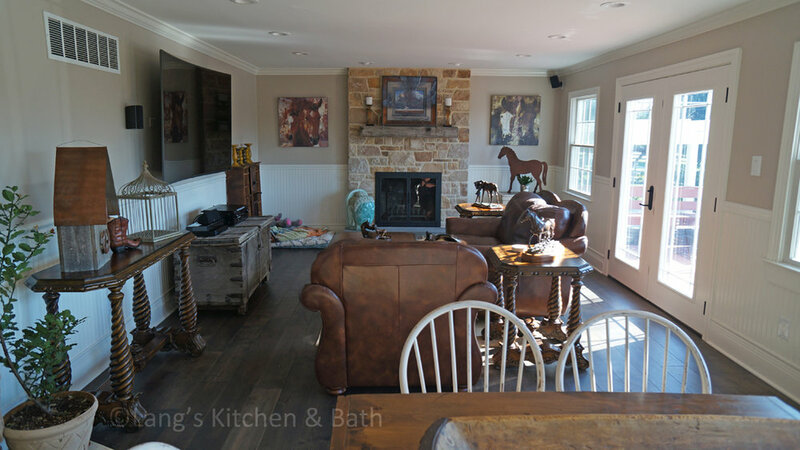 Barstools or other seating is a great way to add color to an island or adjacent dining table. Color accents that can be more easily changed like wall colors, art work, or window treatments. Get started by examining your personal style and home design requirements, then contact an experienced kitchen design professional to find out how to bring your color scheme to life with the ideal kitchen products and design features. Do you need more inspiration? Check out the Pantone Color of the Year for 2018, Ultra Violet to see one option for a bold accent color, and visit our kitchen design gallery to see a wide range of kitchen color schemes.